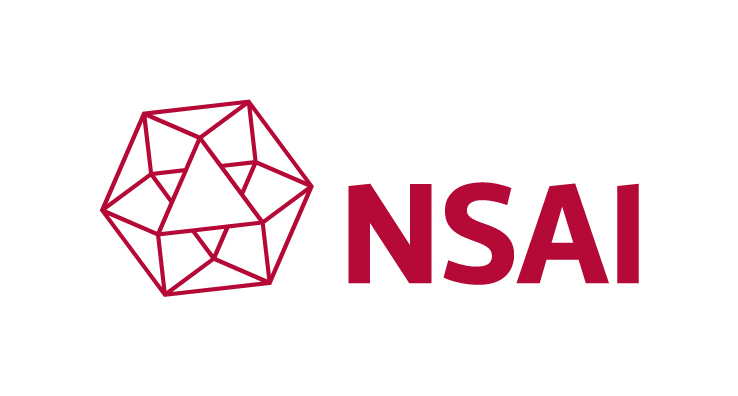 This is a common name used to describe the combination of testing equipment required when undertaking an air leakage test or air permeability test. 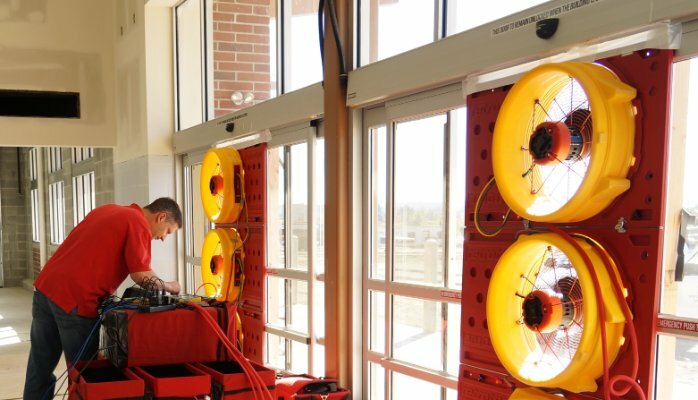 Blower door testing, or air pressure testing, allows the accurate measurement of air movements through the fabric of your building and is typically used to pressure and depressurize the building so that the cracks and gaps can be found. 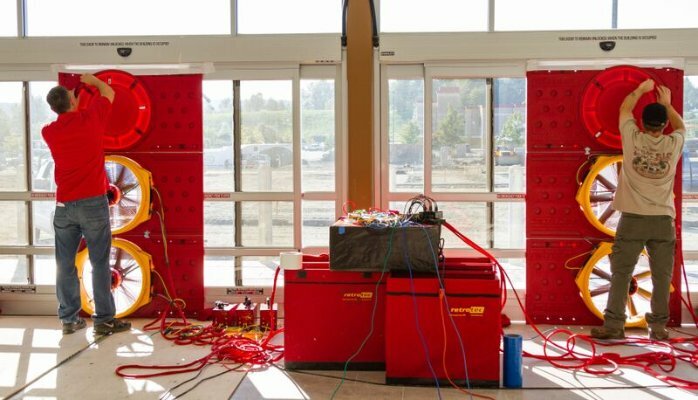 Why do I need a Blower Door Test? 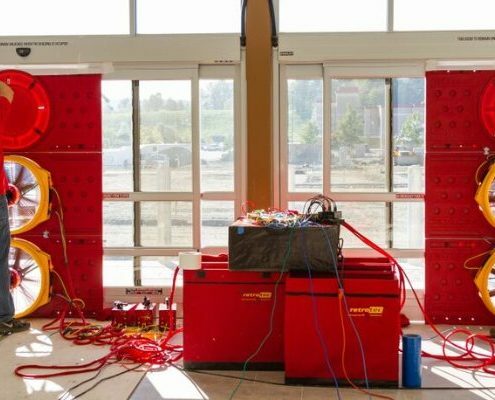 Since June 2008 an Air Pressure Test is a compulsory requirement for Building Energy Rating (BER) Assessments for new builds. An air tightness test is used to calculate an air permeability rating for the dwelling and this rating that must meet the latest Building Regulation standards. 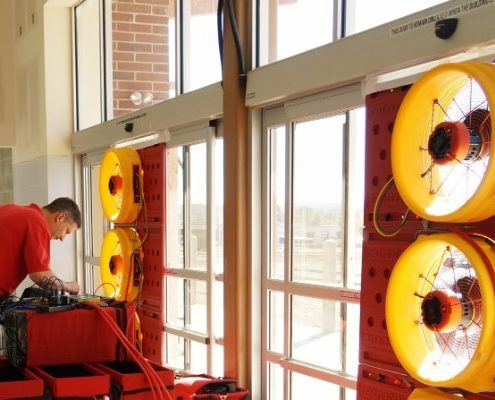 Carry out a Duct Test to identify any air leakages within the duct system. Supply and professional fit of Radon Barrier Membrane, to a high standard, throughout Ireland. 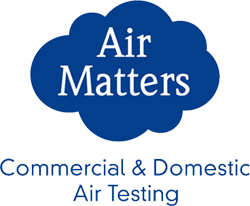 Air Matters provide an outstanding service. We acquired of the service to have our two story house air tightness tested to reveal some shocking results. There was a substantial amount of heat loss throughout the house through many of the windows and doors, allowing us to amend these air leakages accordingly, resulting in hundreds in savings on heating bills throughout the year. Excellent service! I recently availed of Air Matters service when I noticed exponential heating costs for my Bed and Breakfast accommodation business. The results were astounding and I can honestly say, I never look back. Thanks Air Matters.